To prime my eyelids, I used Lime Crime's Eyeshadow Helper* (review here). 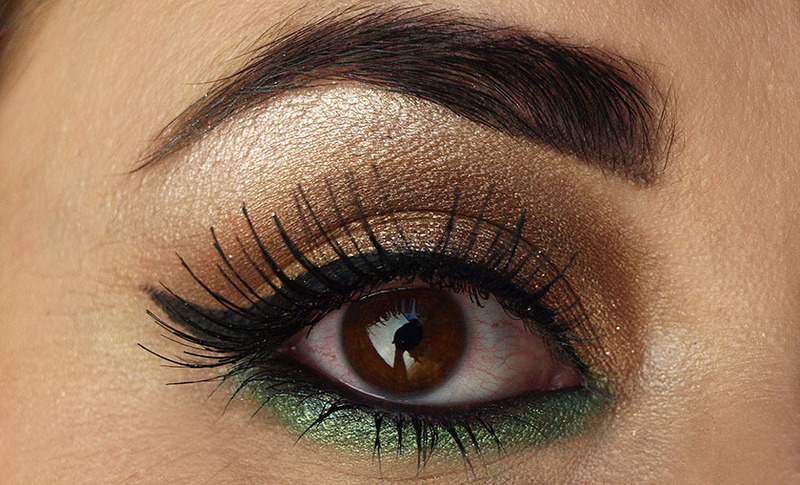 To create a golden base, I applied Half Baked allover the lid and Sellout under the brow bones and in the inner corners. I added Twice Baked in the crease and blended it all out. 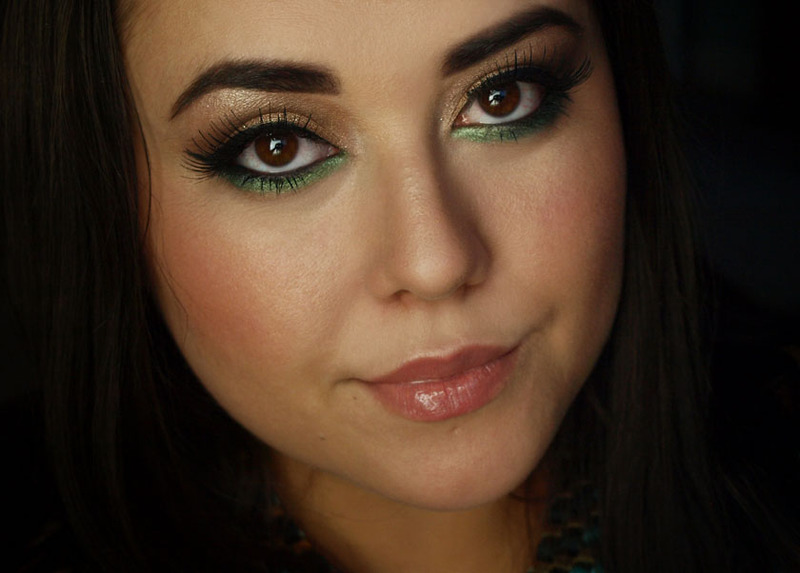 For a pop of green, I used Homegrown - a gorgeous vibrant green colour. 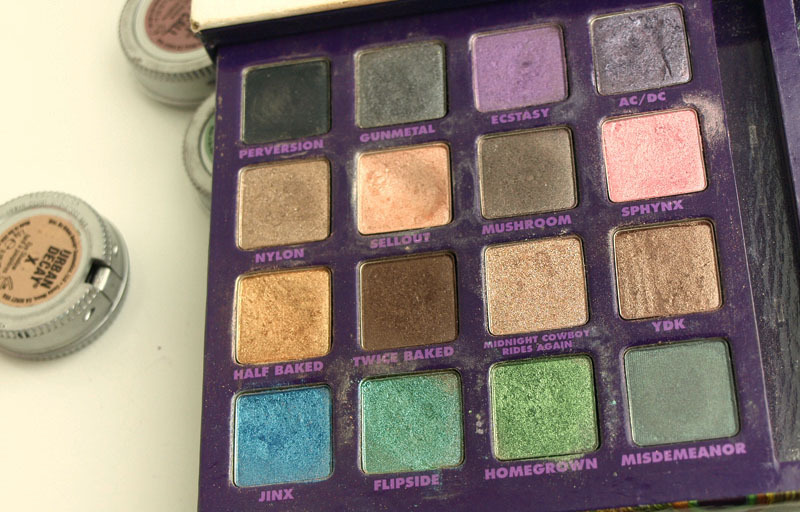 I use it a lot and I will probably hit pan on it soon - it will be a heart breaking moment, because this shade was exclusive to the Book Of Shadows Vol II. For extra sparkle I applied a small amount of Midnight Cowboy Rides Again onto the centre of the eyelid. To make the look more dramatic, I used a black liquid liner (Bourjois Liner Pinceau), a black kohl in the waterline and Eldora H105 Falsies. I also applied some mascara to my bottom lashes. That's the finished look. 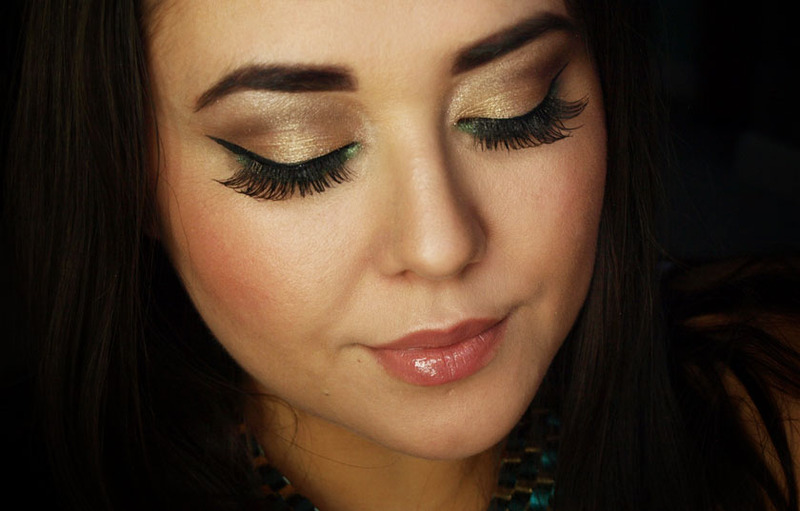 Let me know, if you like it and if you will give it a go yourself :) It is very simple and you can skip the eyeliner and falsies, if you prefer more subtle looks.